Employers in both New Jersey and New York are legally required to provide you a reasonable accommodation for your sincerely held religious beliefs. An accommodation is either a change or modification to a workplace rule or requirement that permits you to perform the essential functions of your job without interfering with your sincerely held religious belief. If your employer fails to provide you a reasonable accommodation, that can be a form of unlawful religious discrimination. In fact, an employee who loses her job as a result of her employer failing to provide a reasonable accommodation for her religious beliefs could have a wrongful discharge claim. As with reasonable accommodations for disabilities, employers are not required to provide every possible accommodation for your religious practices. For example, an accommodation is required only if it would permit you to perform the essential functions of your job. As our New Jersey religious accommodation attorneys can explain, employers are not required to provide an accommodation for your religious beliefs if it (1) would be unreasonably expensive or difficult to provide; (2) would significantly interfere with workplace safety or prevent the employer from operating efficiently; or (3) would violate a bona fide seniority system. As with any form of religious discrimination, to be entitled to a reasonable accommodation your belief has to be sincerely held. In essence, that means you have to honestly and sincerely follow the religious practice. One of the most common reasonable accommodations for religious beliefs that our New York and New Jersey religious accommodation lawyers have seen is time off from work. For example, your employer might have to modify your work schedule so you do not have to work on a religious holiday or Sabbath, or permit you to adjust your schedule or breaks to allow you to participate in a religious practice or observance. Similarly, your employer may be required to permit you to take time off for prayer during the work day. 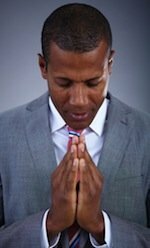 For instance, this could apply to an employee who needs a short break to pray during the work day or who needs to adjust his work schedule so he can attend a prayer service. In addition, an employer might be required to adjust or waive certain dress or attire requirements to accommodate your beliefs. This can include permitting you to wear certain garments or clothing required by your religion or allowing you not to wear clothing that is forbidden by your religious beliefs. For example, your employer might have to allow you to wear a yarmulke, headscarf or turban if your religion requires it even if the employer prohibits employees from wearing hats or otherwise covering their heads. Likewise, it might have to modify a policy regarding hair or grooming if your religious beliefs limit how you can cut or style your hair or shave your beard. The New Jersey religious accommodation attorneys at Rabner Baumgart Ben-Asher & Nirenberg, P.C. can help if you have been denied a reasonable accommodation for your sincerely held religious beliefs, or if you experienced another form of religious discrimination at work. We welcome you to contact us online or call us at (973) 744-4000.